1. How quickly are domestic and international orders shipped? We aim to ship all orders within 2 ~ 3 business days of receiving full payment. Domestic Order (after dispatched) : VIC, 1 ~ 2 business days | NSW & SA, 2 ~ 3 business days | QLD, 3 ~ 4 business days | NT & WA, 4 ~ 5 business days. International Order (after dispatched) : 8 ~ 12 business days to nominated destination country without any inclusion of any custom clearance or quarantine inspection if required. 2. How do I measure my screen so that I know which filter model to order? We recommend that you measure your screen horizontally and vertically, including the frame/ border, and then check the ( find the size that is most compatible. 3. How much does a screen weigh? The screens range from 350g for a 19-inch filter to 5.07kg for a 65-inch filter. You can find exact weights listed in product specifications. 4. What do I get when I order? 5. Do Fiara screens affect the picture quality of my HD/3D TV? Colours may be slightly affected in order to filter out the most harmful blue light, but Fiara anti-blue light screen filters are designed to preserve highest level of enjoyment from your screen/monitor. Your HD picture will look almost as good as is does now, but you’ll have more peace of mind because your eyes are protected. 6. Do Fiara screens work on a Super-Thin LED TV? Yes. There is no difference in installation and you can enjoy the same benefits as for ordinary LCD/LED screens/monitors. 7. Do Fiara screens reflect light from external light sources? 8. Do the screen work on wall-mounted TVs? Yes, they can be used for all TVs, on stands and wall-mounted. 9. Is the screen hard to install? No. It takes less than a minute to install a PL-BLU Fiara Anti-Blue Light Screen Filter. Remove it from the box, wipe off any shipping dust and stick the silicon beads in appropriate positions. Then hang the screen over the front of your TV or monitor and you are done! For more information, please refer to our installation instruction manuals for Desktop/PC/TV or Laptop filters. 10. 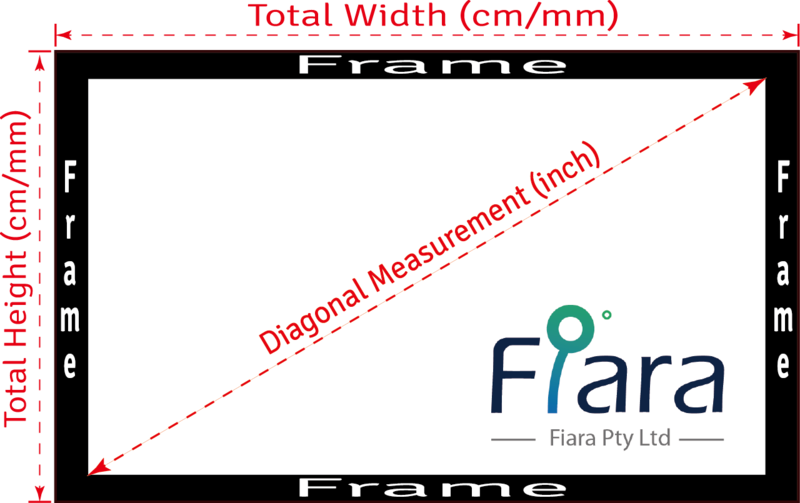 Where are Fiara Anti-Blue Light Screen Filters manufactured? manufactured? All products are made in Taiwan - MIT. 11. Do you offer a guarantee? Yes, there is a 30-day money-back guarantee (PL-BLU Series ONLY) if you are dissatisfied with the product you receive or if it is faulty or defective. Customers are responsible for ALL additional charges if an incorrect size is ordered or an incorrect shipping address is supplied when a purchase/return/exchange/refund request is placed. A full refund of the purchase price (excluding postage) will only be issued if a returned item is received back in its original condition. If you wish to return an item because it is faulty or has arrived damaged, Fiara will be responsible for the cost of return shipping within 30 days of you receiving the order. If the return is due to a change of mind or because the wrong item or size was ordered, you will be responsible for the cost of return shipping and any other related costs that are incurred. 13. What happens if a shipped item arrives damaged? Any claims lodged/requested more than 30 days after the date of delivery will not be accepted. 14. What types of payment method do you accept? We accept PayPal, credit card payments (Visa, MasterCard & Amex processed via ANZ Bank, eWay or SecurePay merchant services) and direct deposits to our bank account (our bank details can be found on our Purchase Order Form). 15. Can I make a purchase from outside Australia? 16. What conditions of use apply to a REPURCHASE DISCOUNT? Repurchase discounts are not applicable to other promotions or already discounted items. There might be possible additional charges (such as Imported VAT/ Duties/ Taxes/ Custom fee etc) apply when shipped into certain countries, especially when Large or Oversized item is purchased due to the type of courier service delegated. Please email us for more information and we are happy to share this additional costs.